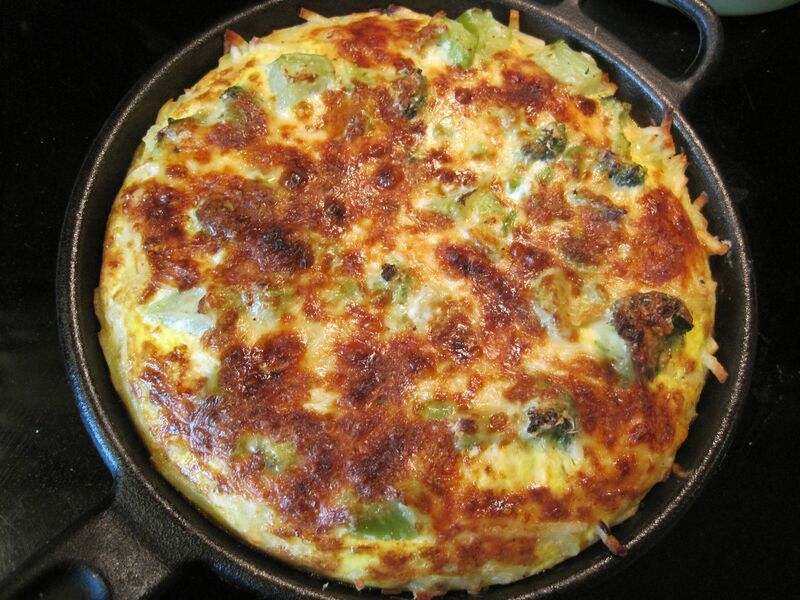 This frittata is very creamy and easy to make. 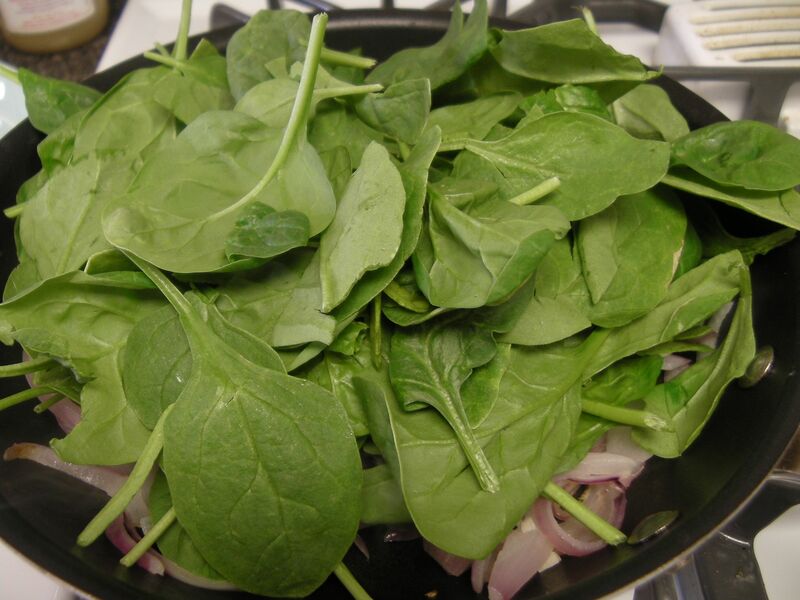 You first cook the onion, then add spinach, pour the eggs on top, add the ricotta in dollops and finish cooking it in the oven. 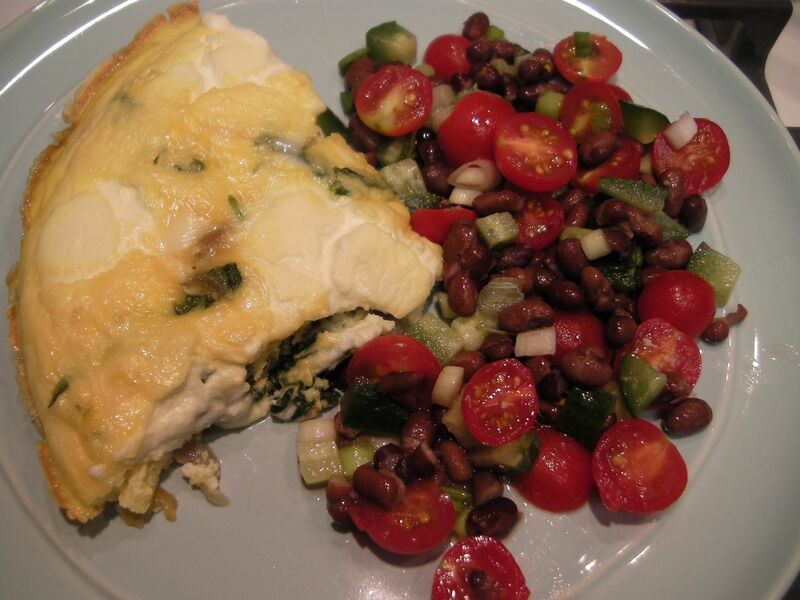 You can put together the salad while the frittata is cooking. 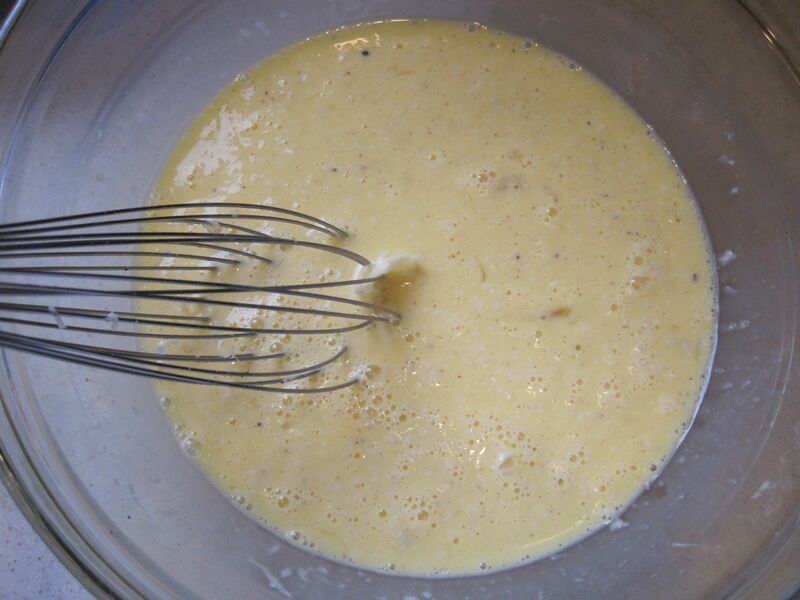 In a medium bowl, whisk together the eggs, milk, nutmeg, salt and pepper. Set it aside. 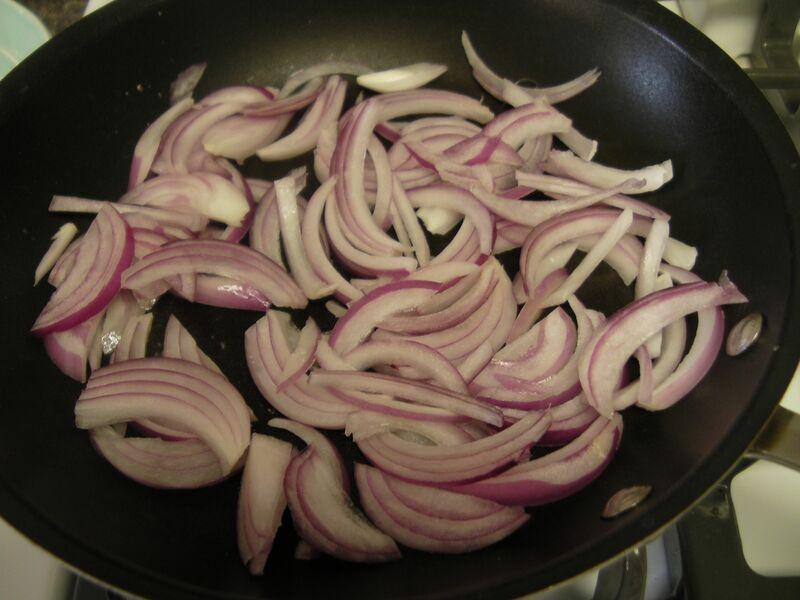 In a 10-inch nonstick oven proof skillet over medium heat, add the oil, then the onion. Cook, stirring occasionally, for 5-7 minutes. 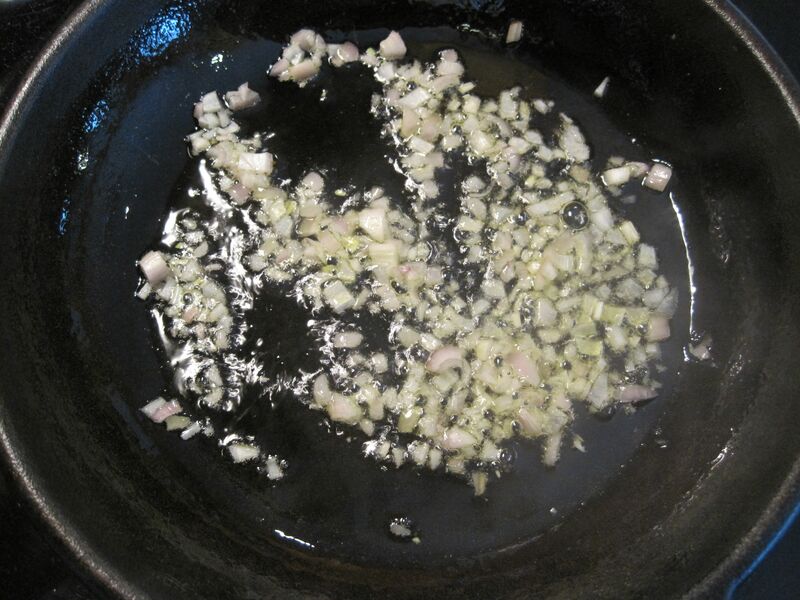 Add the garlic, and stir for 30 seconds. 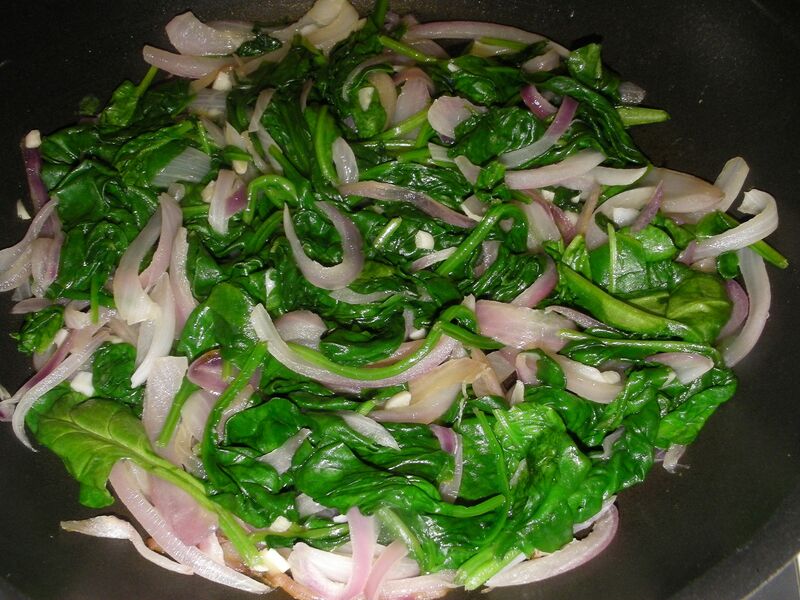 Add the spinach in batches, and stir until each batch wilts down. Season with salt and pepper. 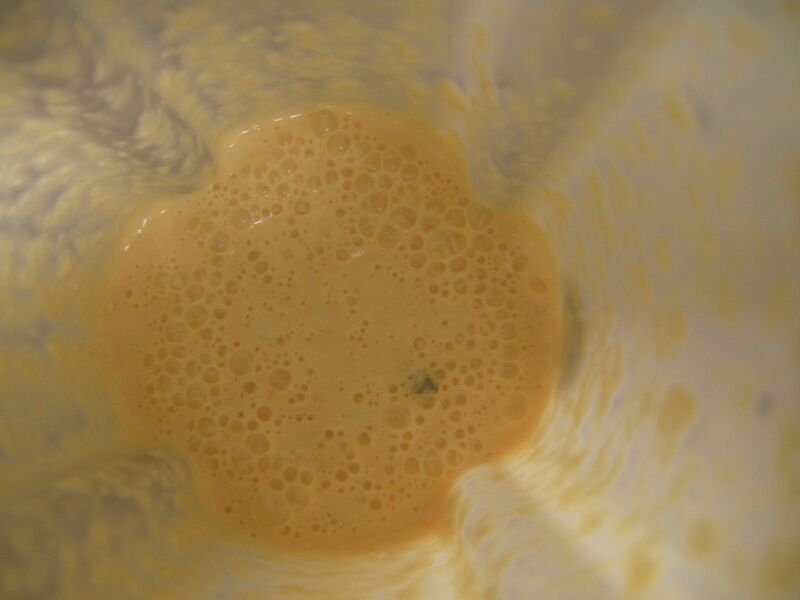 then pour the egg mixture evenly on top. 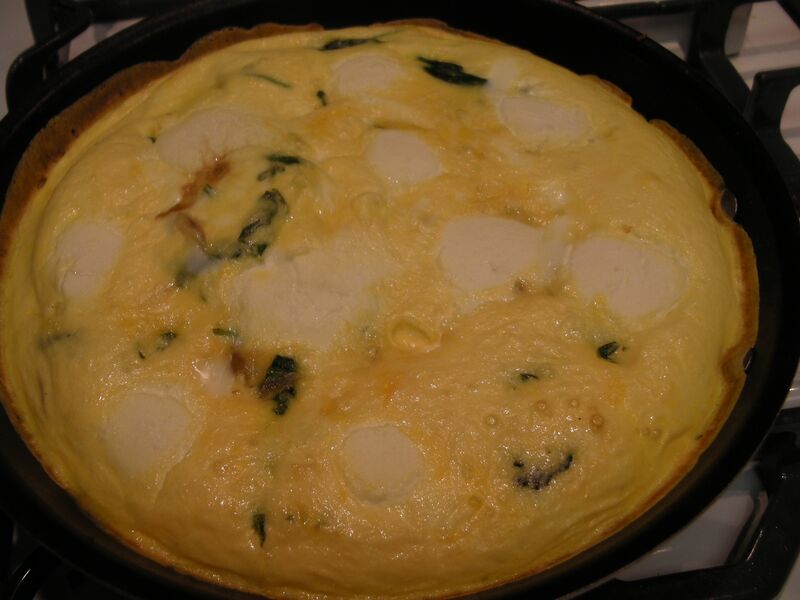 cook for about 8 to 12 minutes or until eggs are firm. 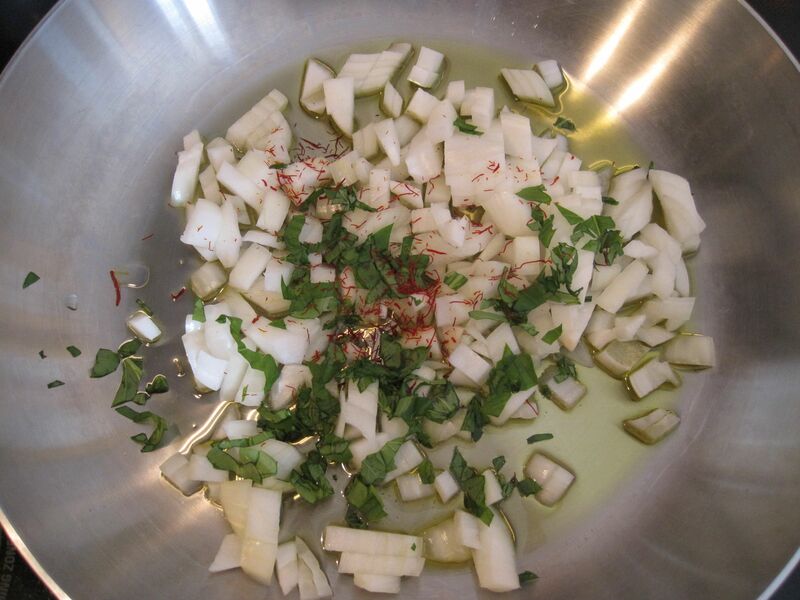 In a large bowl, combine all ingredients together and stir gently. Taste for salt and add accordingly. 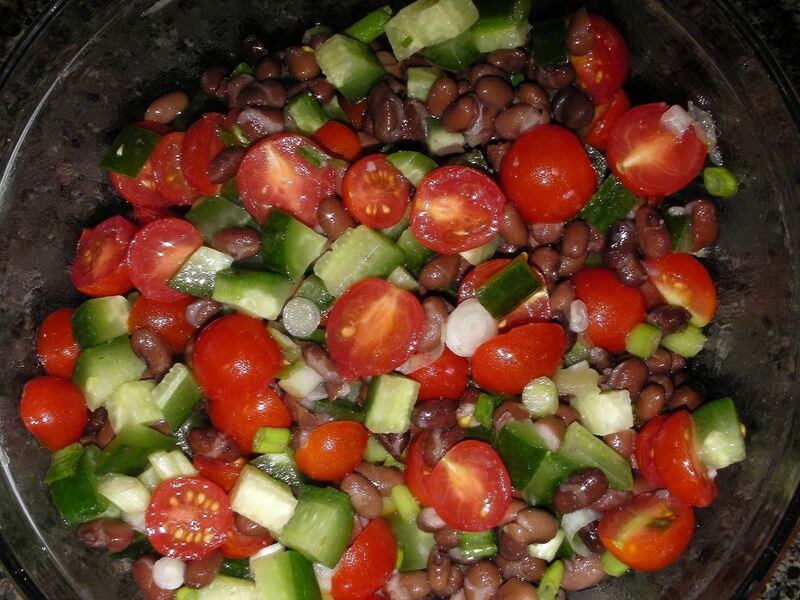 If you think salads are boring, you should try this one. It’s delicious and light. 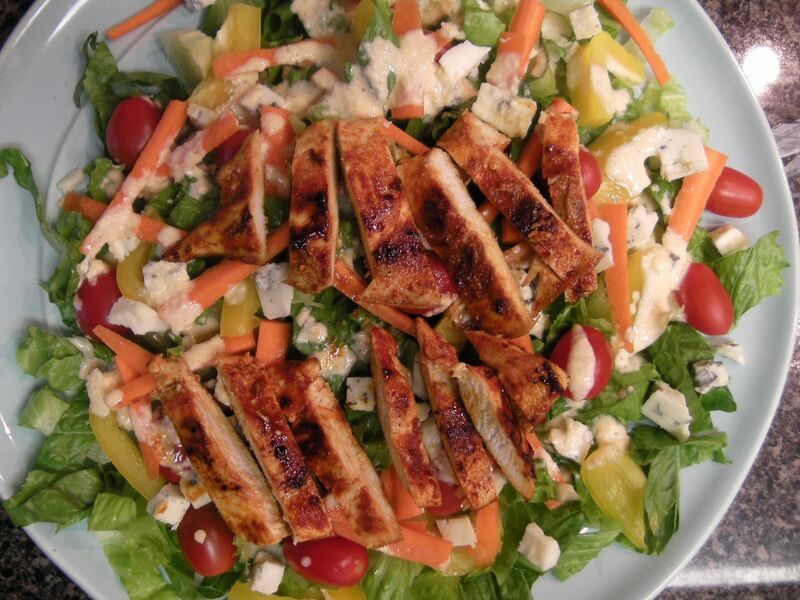 The chicken is seasoned with smoked paprika and chile powder, then tossed with blue cheese and all the other vegetables. 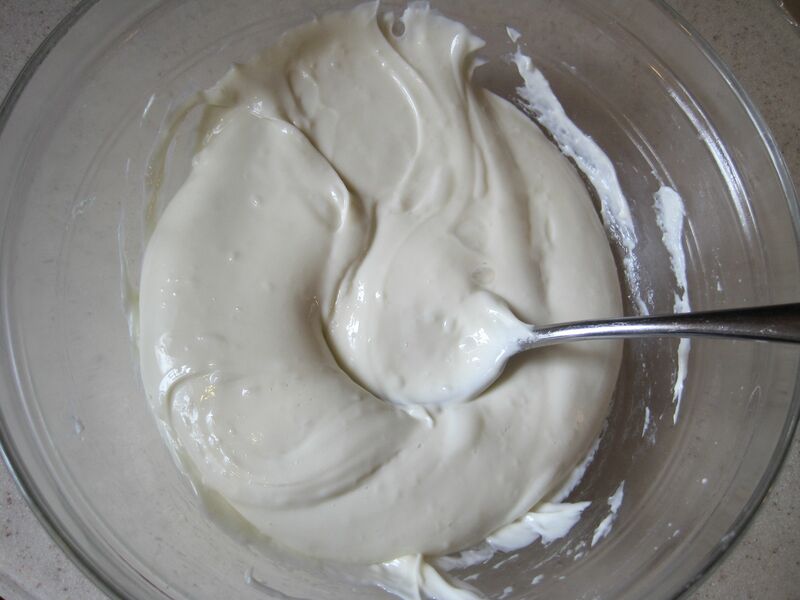 And don’t feel guilty about adding too much dressing: it’s just yogurt, buttermilk, onion, and hot sauce. 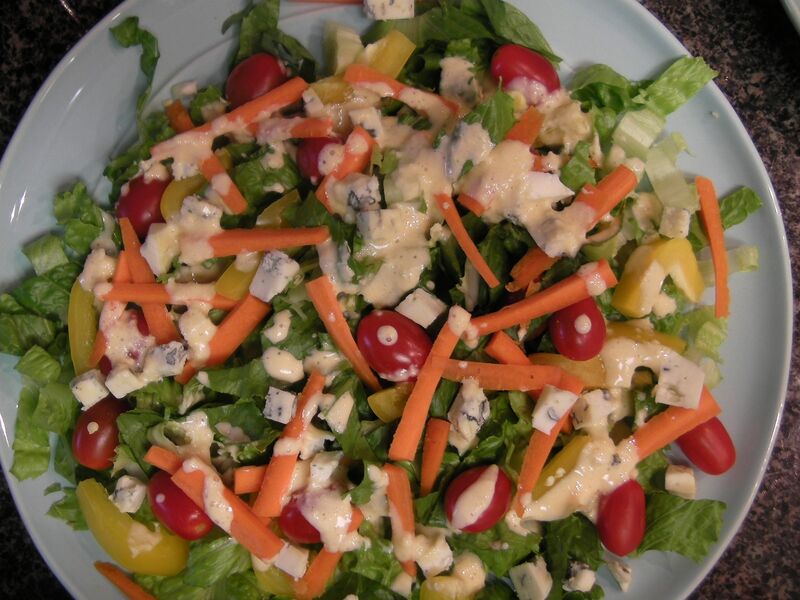 You will notice that you’re eating all the colors of the rainbow in the one salad. Note: don’t substitute plain paprika for the smoked one. The smoked paprika gives it an amazingly deep flavor. If you can’t find red leaf lettuce, just substitute it with the romaine lettuce like I did. But by using the red leaf lettuce, you will have all the colors of the rainbow. 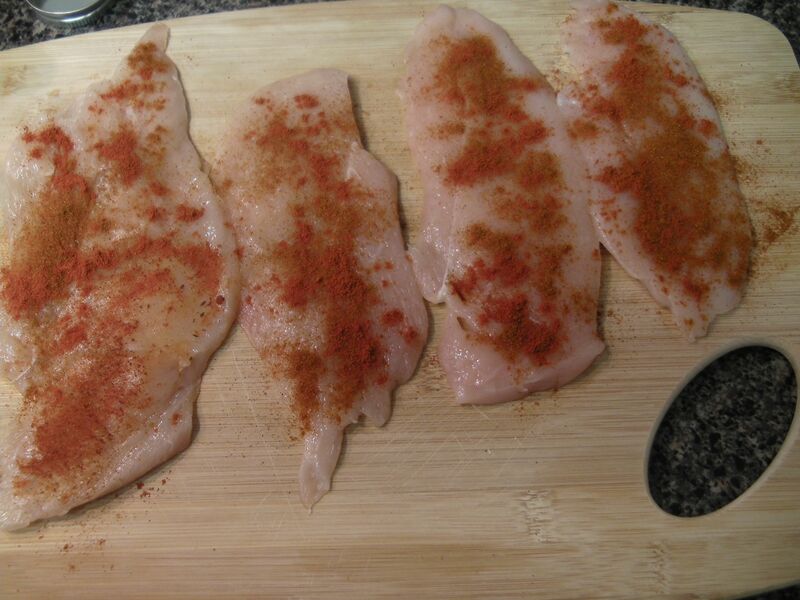 Place the chicken on a cutting board, cover it with cling wrap and pound the pieces so they become thinner (you can even cut the chicken in half so each chicken breast turns into 2). Sprinkle the pieces evenly on both sides with smoked paprika, chile powder, and salt. In a large skillet over medium heat, add 1 teaspoon oil, then the chicken pieces, and cook on each side for 5-7 minutes depending on its thickness. When done, set it aside on a clean cutting board for a few minutes before slicing it into strips. 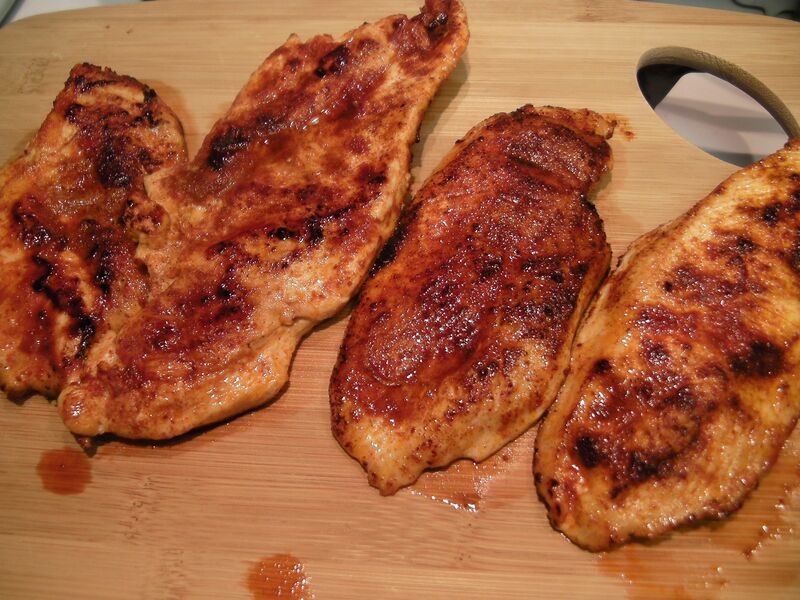 If your skillet is too small, then cook two chicken breasts at a time and keep the cooked ones warm under foil. 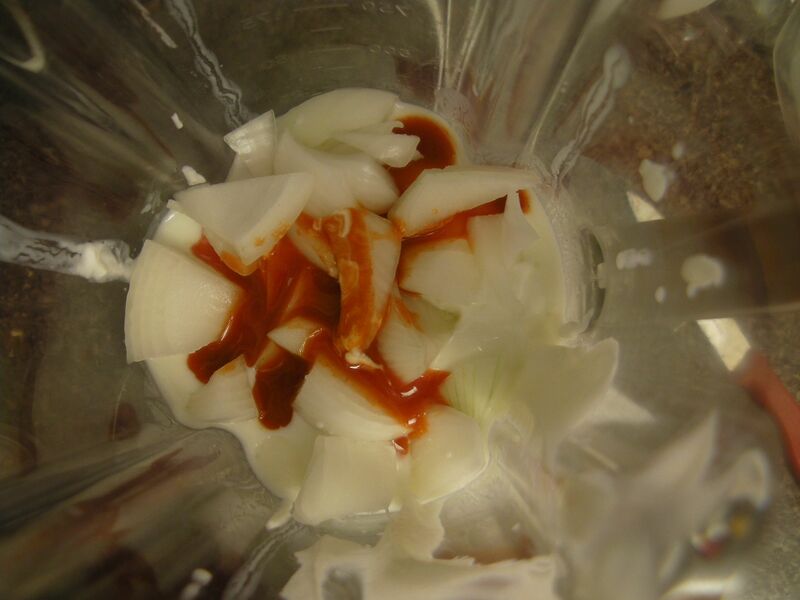 Meanwhile, in a blender, add the yogurt, buttermilk, onion, and 1 tablespoon hot sauce. Blend until smooth. Taste to see if you’d like to add the additional 1/2 tablespoon hot sauce (I did because the buttermilk and the yogurt mellow the spiciness of the hot sauce). 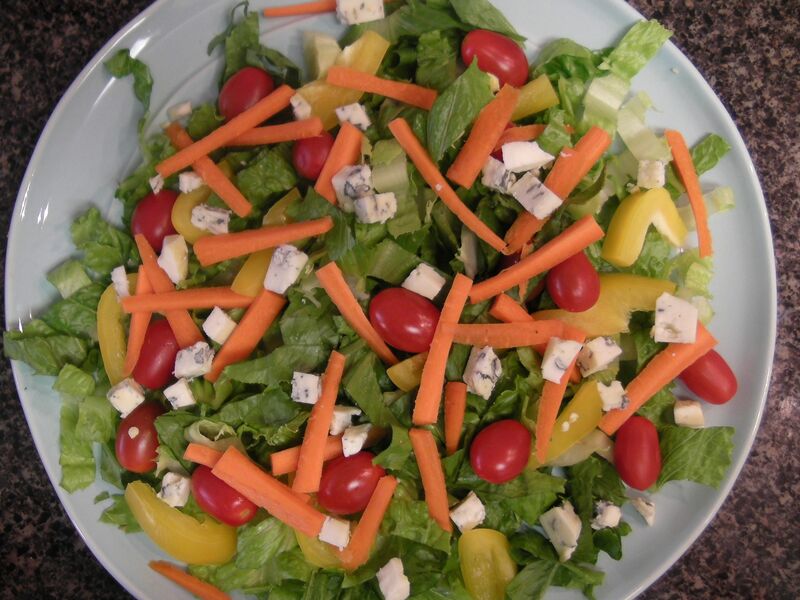 Divide the lettuce between 4 plates, then top it with the bell pepper, tomatoes, carrots, and cheese. Top with the chicken, then drizzle more dressing on top if you wish. I make this every summer when the tomatoes are at their peak. It’s very important to use the best tomatoes you can find and a good quality salt. 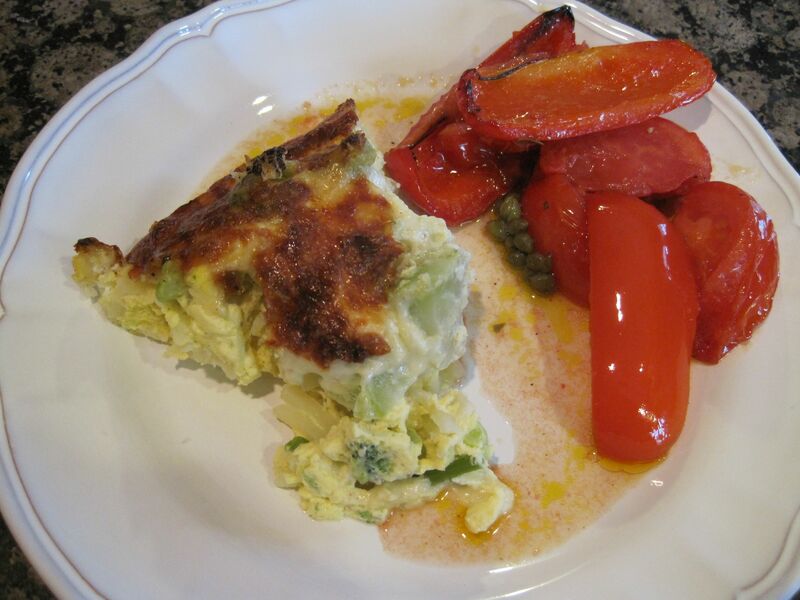 With so few ingredients, it makes a big difference to the overall taste of the dish. 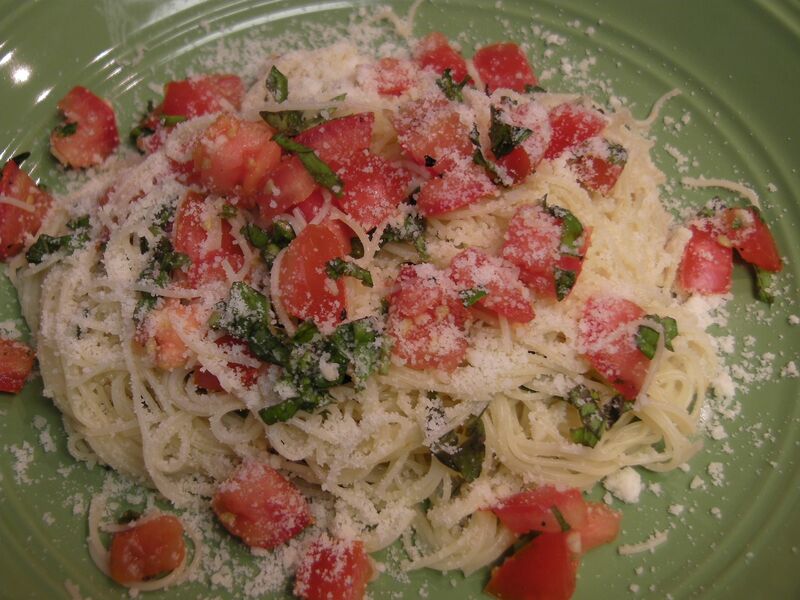 All you need to do is combine the chopped tomatoes with basil, garlic, and olive oil, then stir in the angel hair pasta and top it with Parmesan cheese. Very easy and delicious. Note that I like to have a generous amount of tomatoes with my pasta. If you prefer less sauce, use 4 large tomatoes. Start by boiling the water for the pasta. 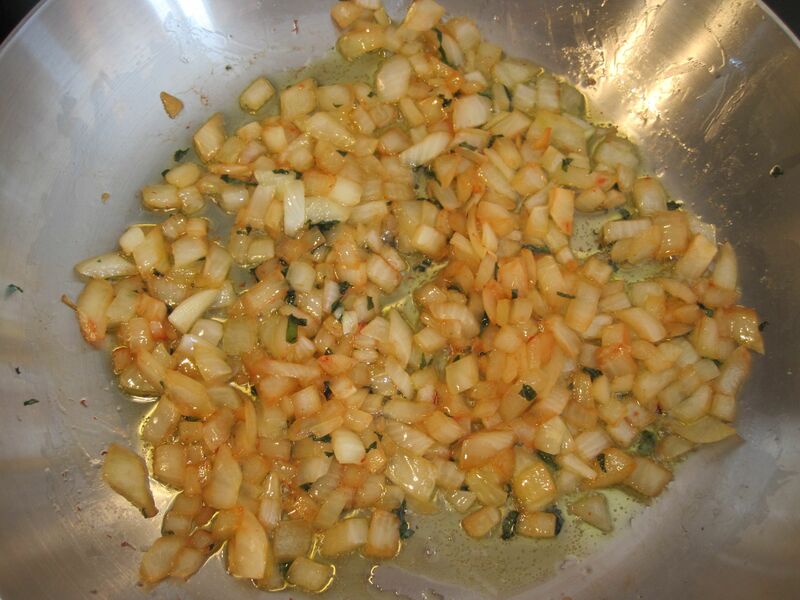 Add 1 tablespoon salt before adding the pasta. Note that it only takes 2 minutes for the angel hair pasta to cook, so add the pasta to the water when your sauce is ready. 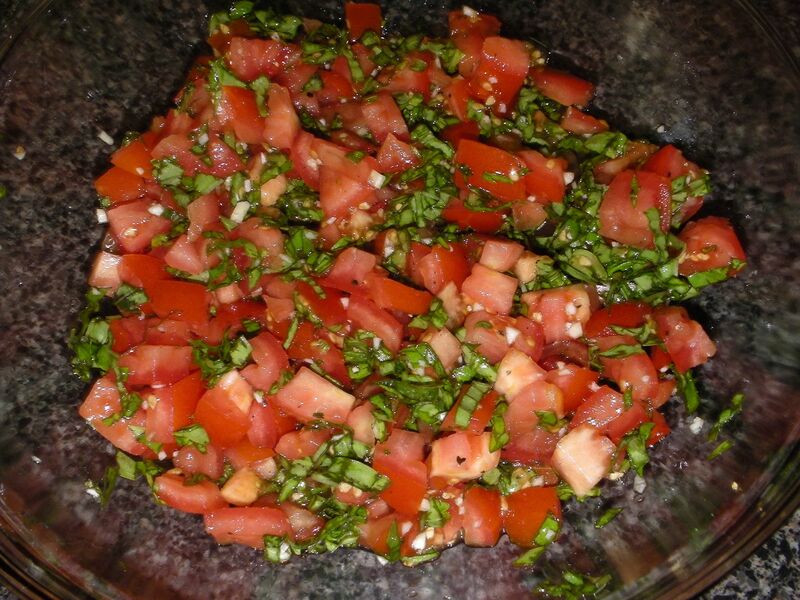 In a large bowl, combine the diced tomatoes, basil leaves, garlic, olive oil, salt and pepper. Be generous with the salt. Taste and add more accordingly. Stir and set aside until pasta cooks. 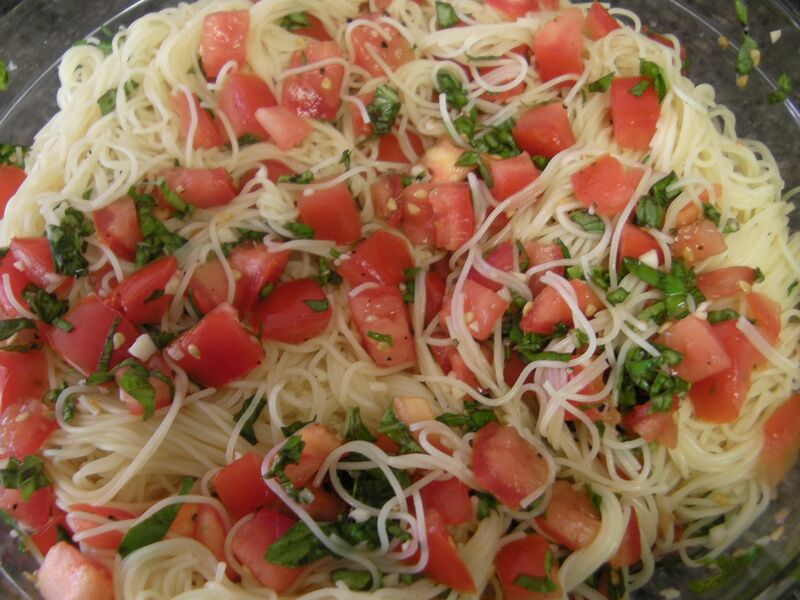 Add the angel hair pasta to the tomato mixture and mix well. 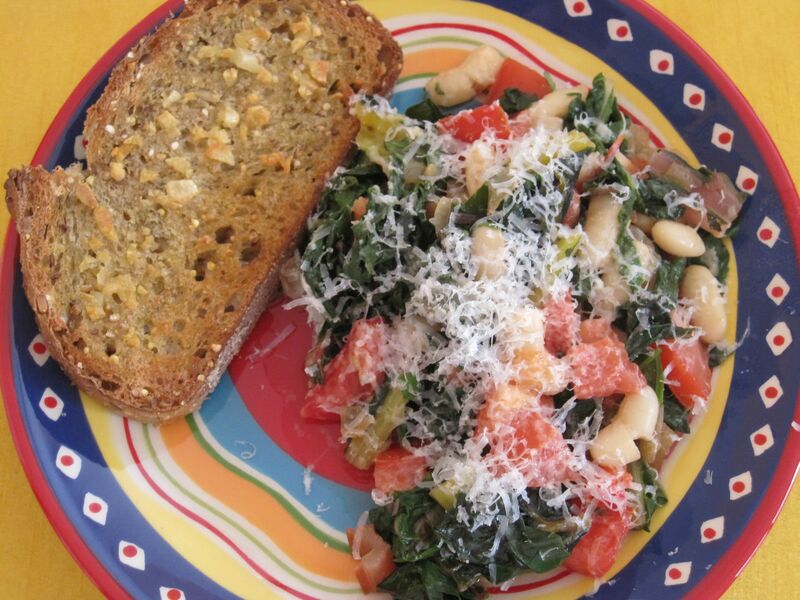 Serve with a generous sprinkling of Parmesan cheese. 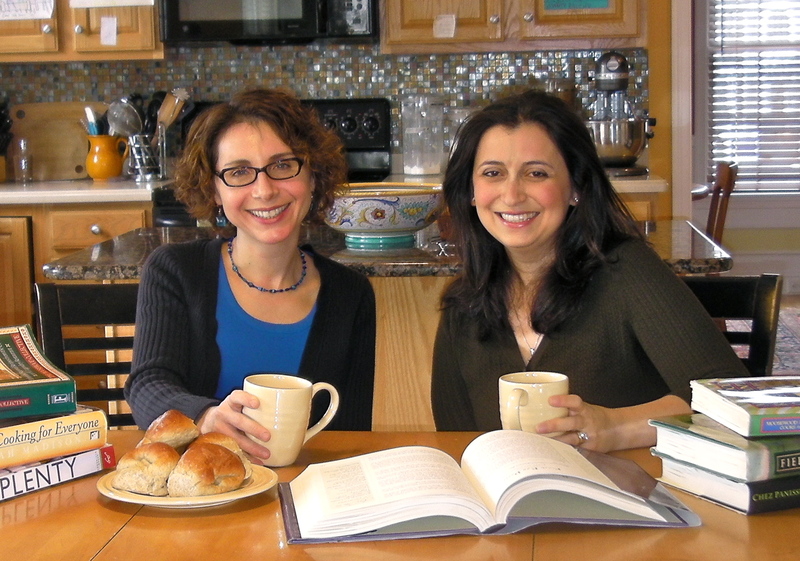 Serve this recipe, adapted from one in Deborah Madison’s Vegetarian Cooking for Everyone, with garlic toast on the side. 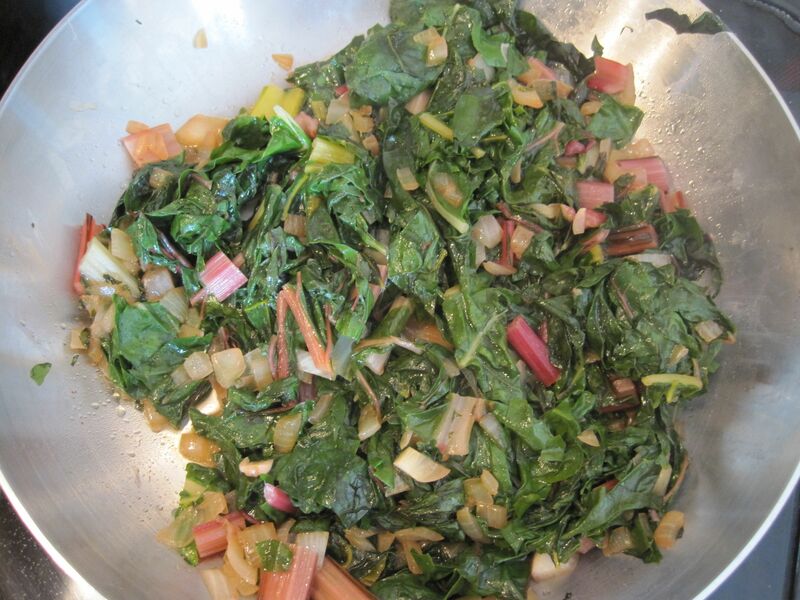 The chard seems to melt into the other ingredients for a homey and delicious meal. 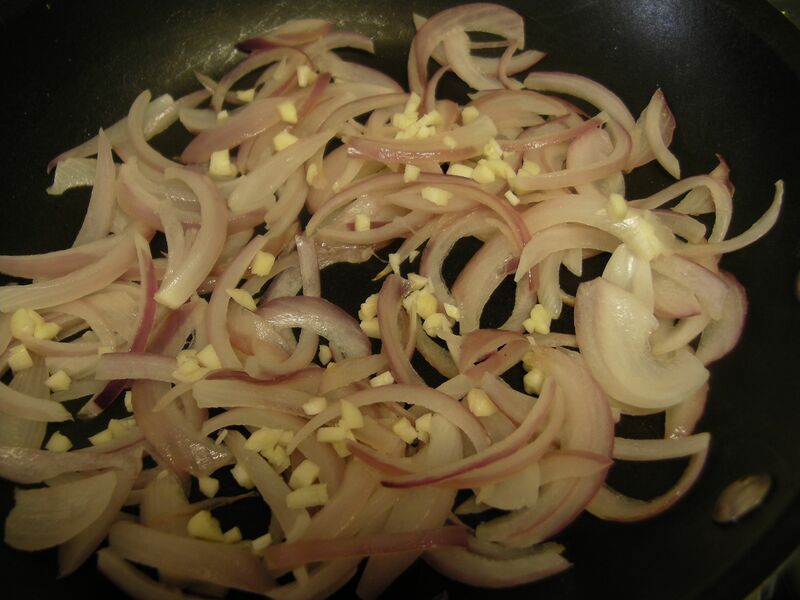 Serves 3 – 4.
until onions are tender and golden, about 5 – 7 minutes. 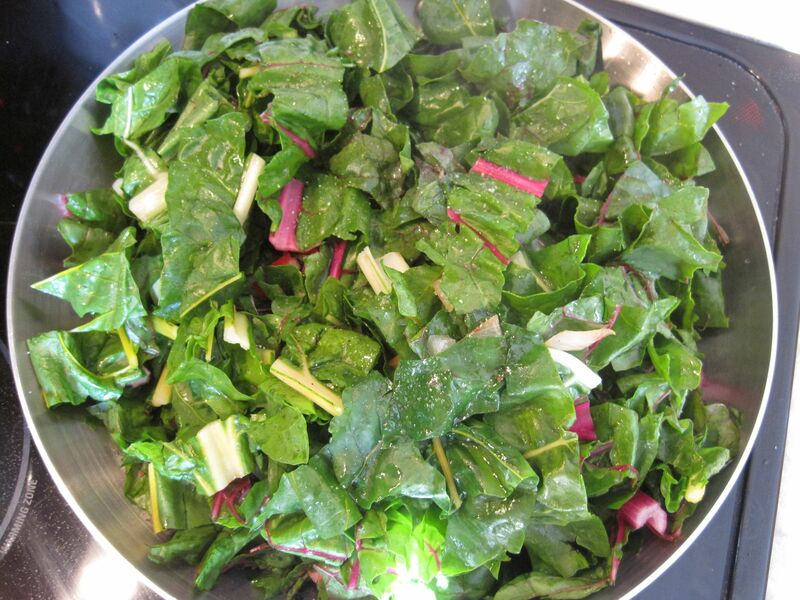 until both chard leaves and stems are tender, about 10 minutes. 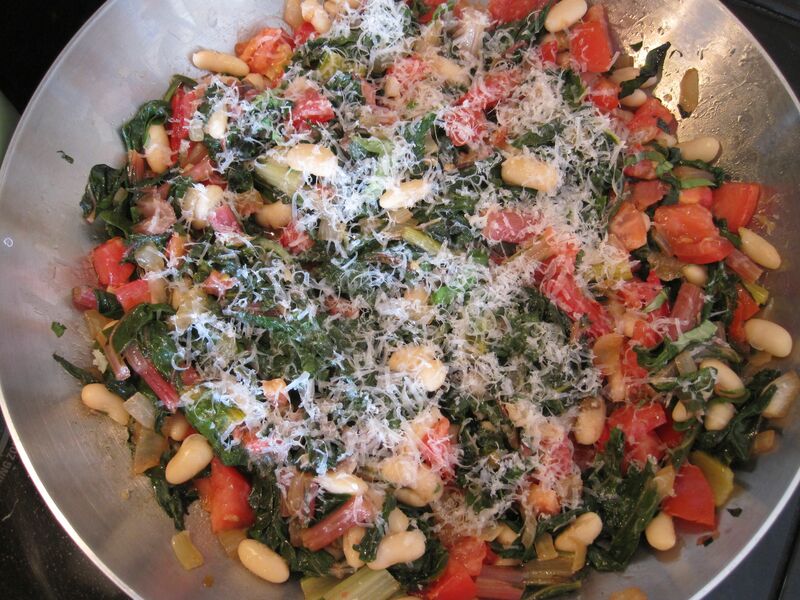 Stir in beans and tomatoes to warm them, then sprinkle with cheese and serve. 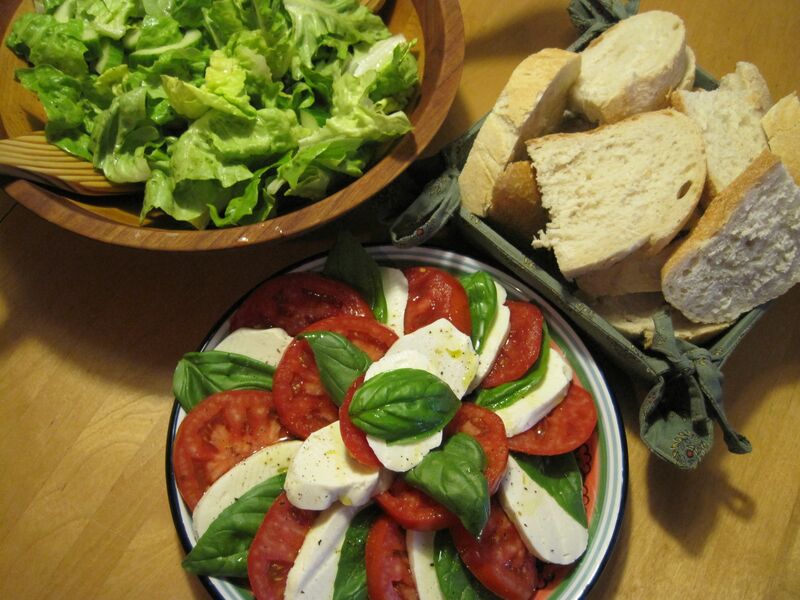 One of the best ways I can think of to eat tomatoes and basil is with fresh mozzarella, good bread, and a glass (or two) of wine. 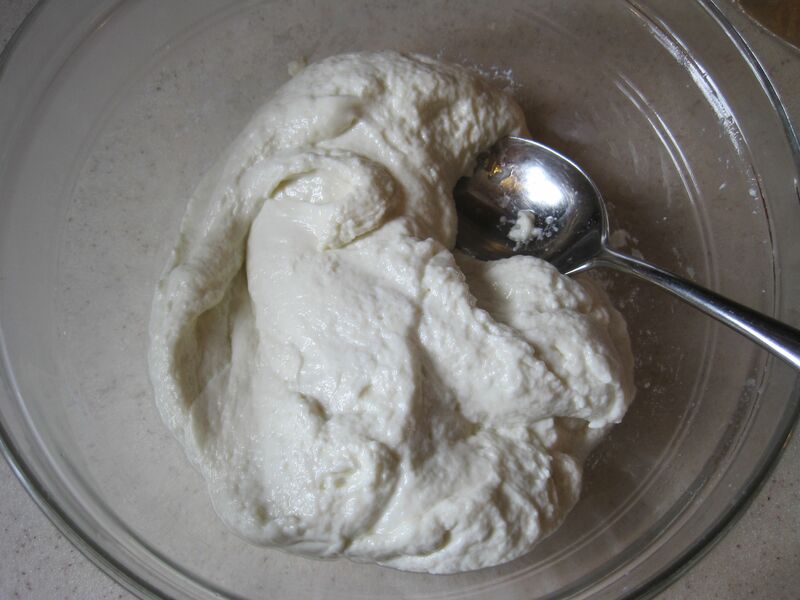 Making your own fresh mozzarella only takes 30 minutes (with a little multi-tasking time, too) and is really easy, and the end result is so delicious, especially if you’re lucky enough to live near a dairy farm as we are. 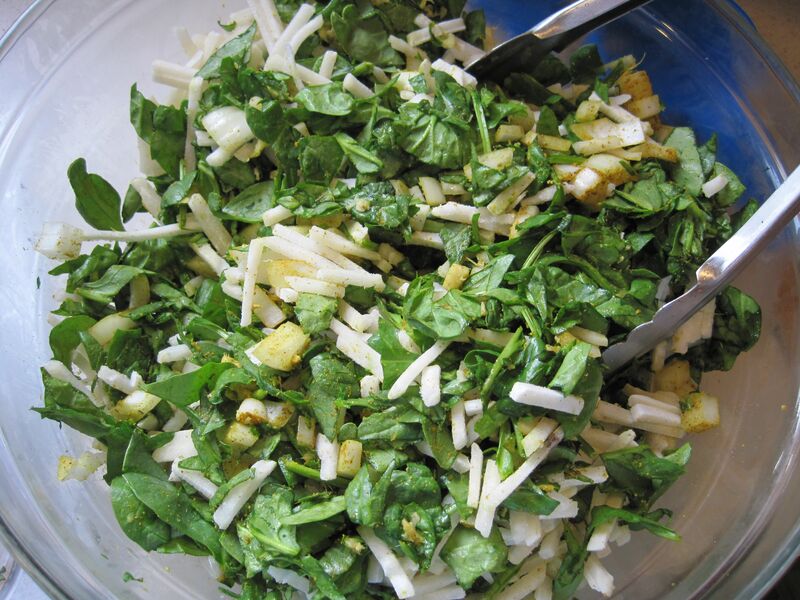 The mozzarella is just so creamy and tastes grassy, like spring. 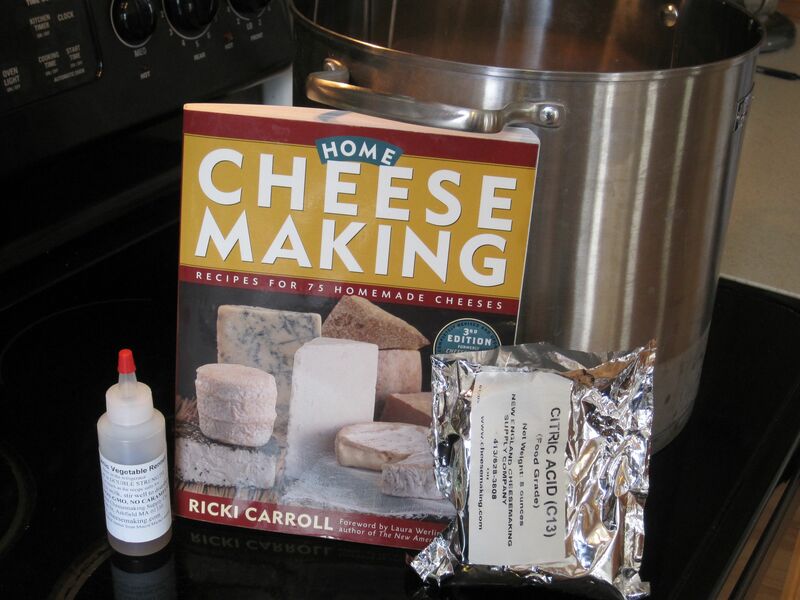 The recipe comes directly from Home Cheese Making by Ricki Carroll, and you can get what you need (mainly, a thermometer, rennet – you can even get organic vegetable rennet!, citric acid and cheese salt) from her website (www.cheesemaking.com) pretty inexpensively. On the side we had a simple salad of Boston lettuce and cucumber, both from our CSA, dressed with good extra-virgin olive oil, sherry vinegar, salt and freshly ground black pepper. 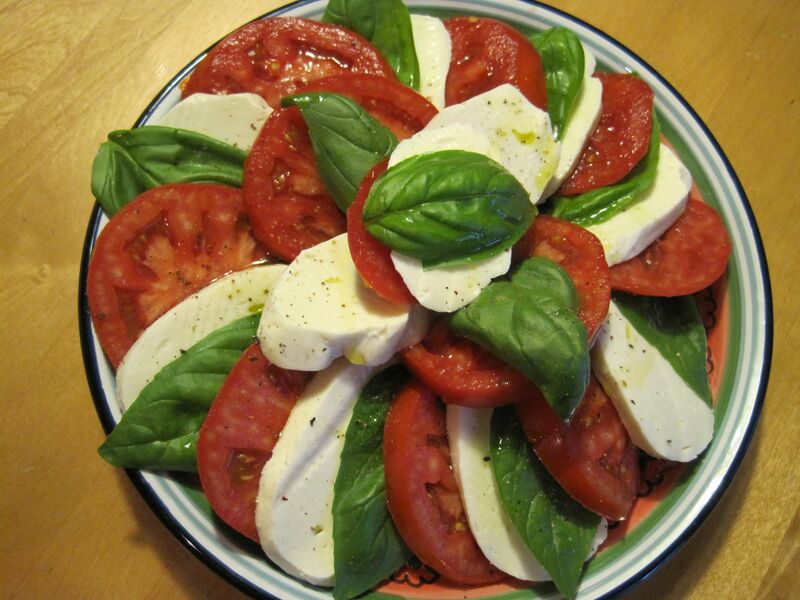 Layer, in an attractive way, slices of cheese, tomato and basil leaves. 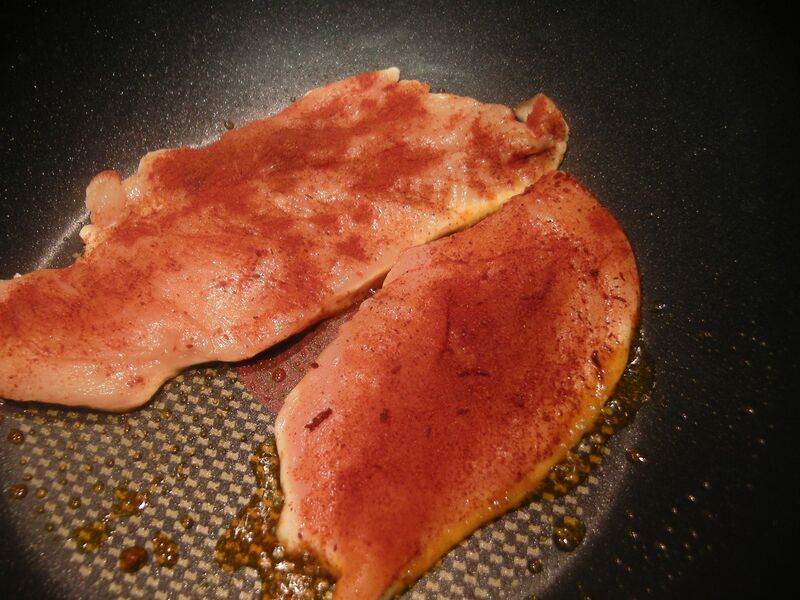 Drizzle with oil, and sprinkle with salt and pepper. Serve with bread, and wine, and call it a day. 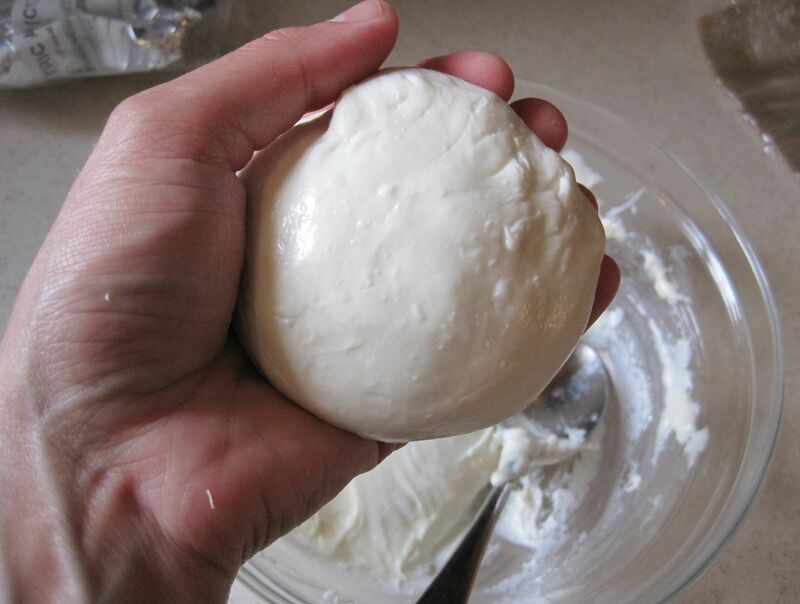 30-Minute Mozzarella – makes 3/4 – 1 lb. 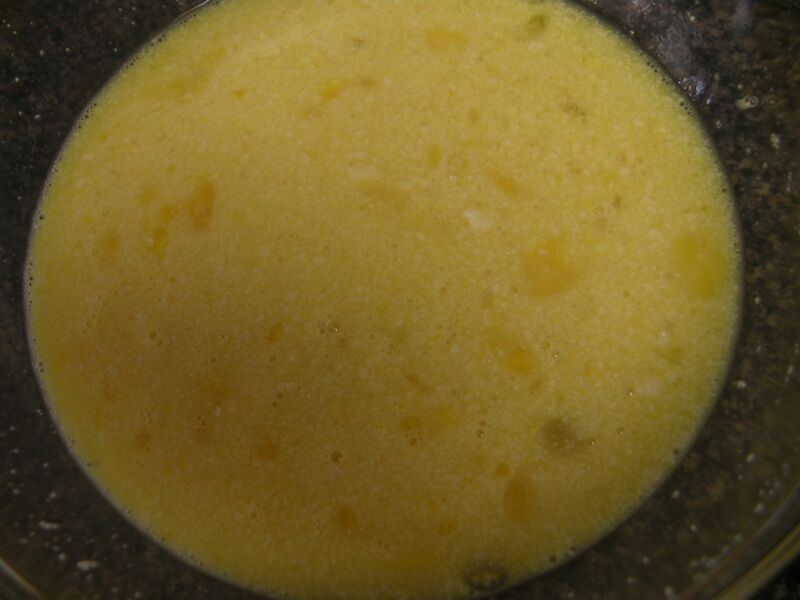 Pour milk into a large pot (with a dairy thermometer hooked on the rim), and stir in the dissolved citric acid. 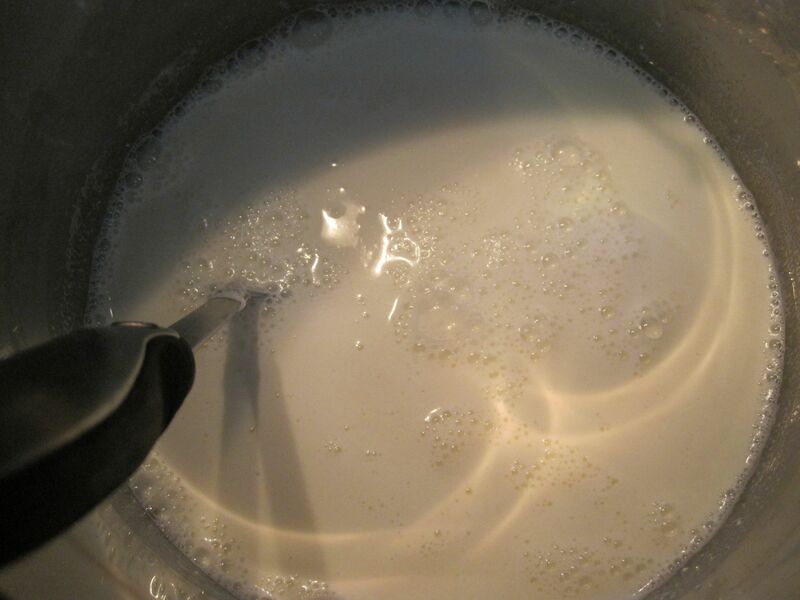 Over medium-low heat, bring the milk to 90 degrees, stirring occasionally (the milk may begin to look curdled). 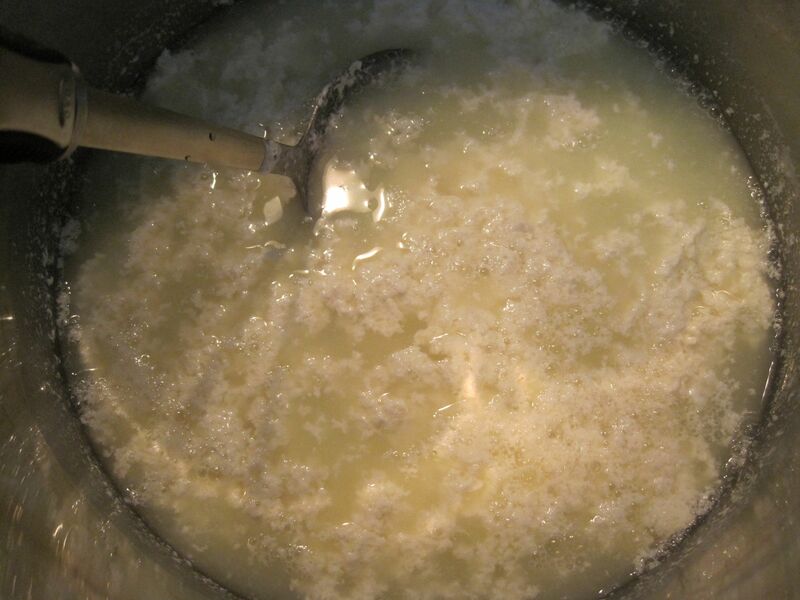 until whey is almost clear and the curds are in big clumps. 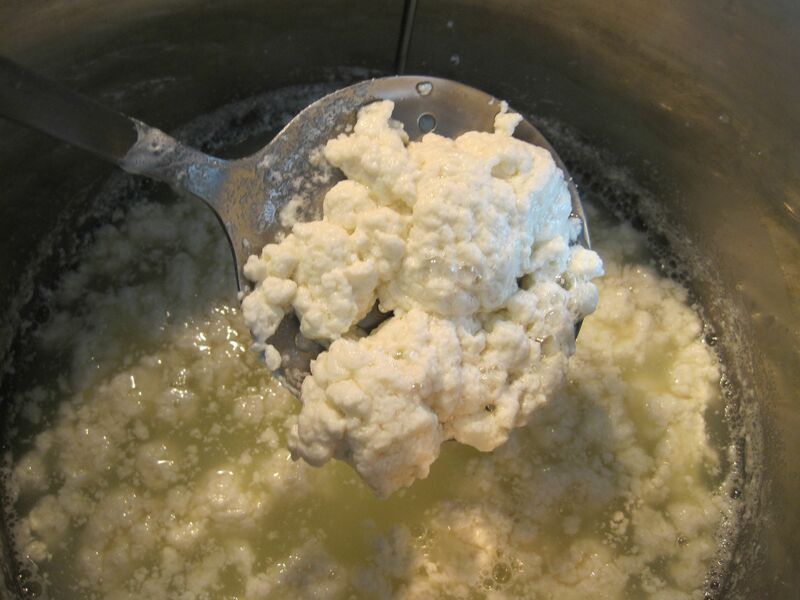 Using a slotted spoon, transfer curds to a microwave-safe bowl and drain off liquid. 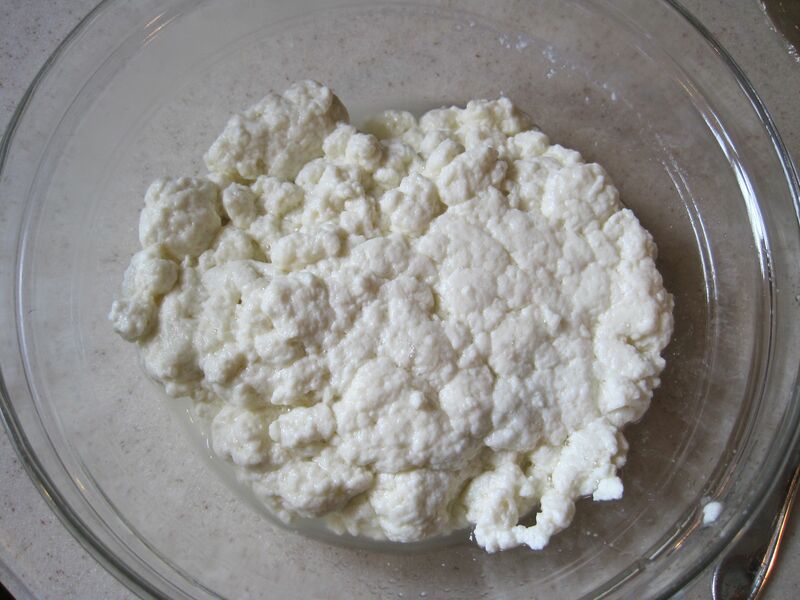 Heat curds in the microwave on HI for 1 minute. 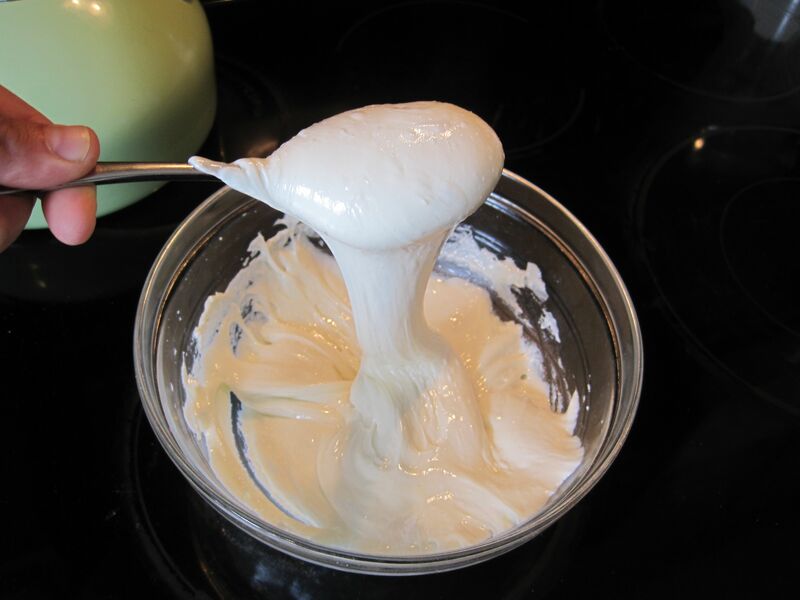 Using a spoon, drain off any liquid and knead the cheese with the back of the spoon until it begins to look smooth and shiny. 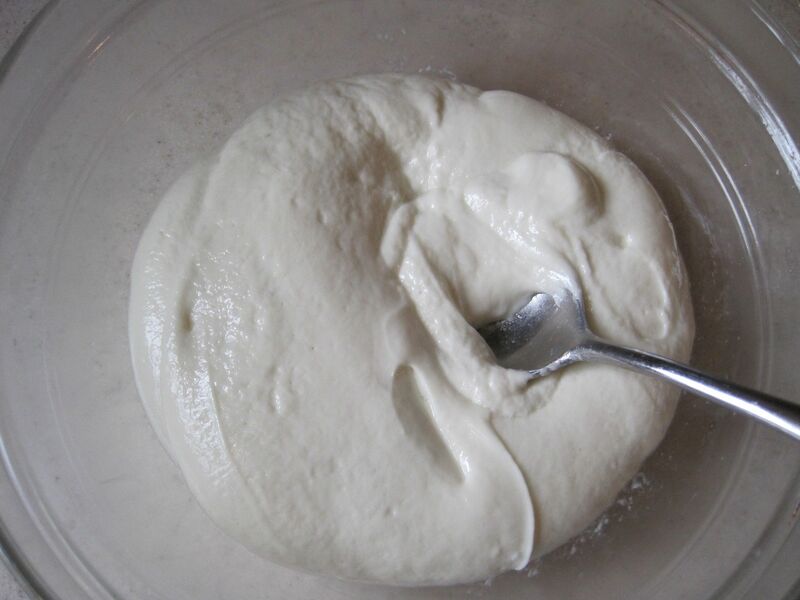 kneading well with the back of the spoon until very smooth and shiny. Add the salt after the last microwave cook-time, kneading it in. 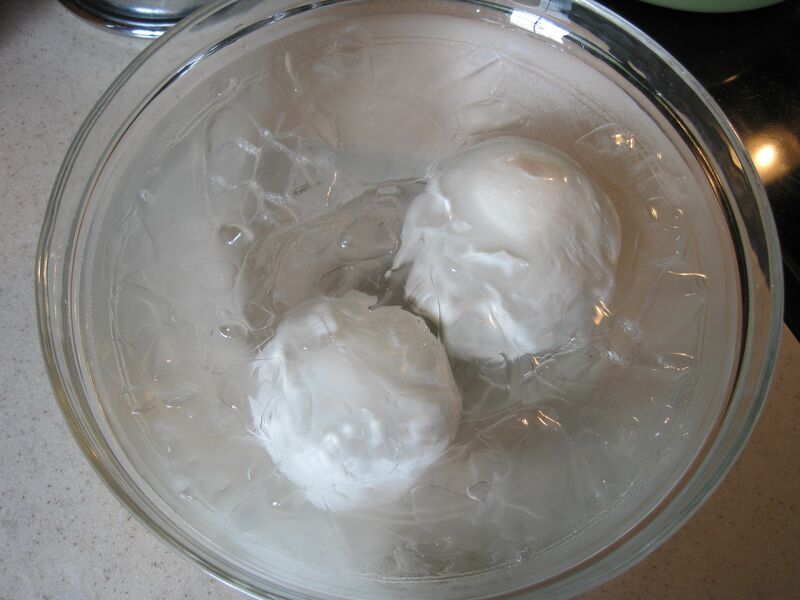 Fill a bowl with ice water, and continue kneading and stretching the cheese like taffy until it cools enough so you can handle it. submerge in the ice water bath for about 30 minutes, which will cool the inside of the cheese quickly and help keep a smooth consistency throughout (you can also eat it immediately if you’d rather). 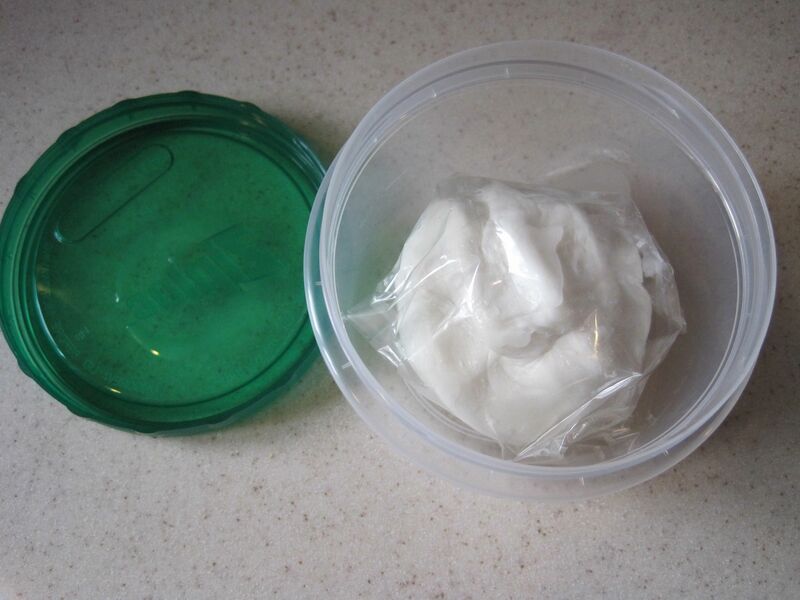 Wrap in waxed paper and store in a plastic container until ready to use. 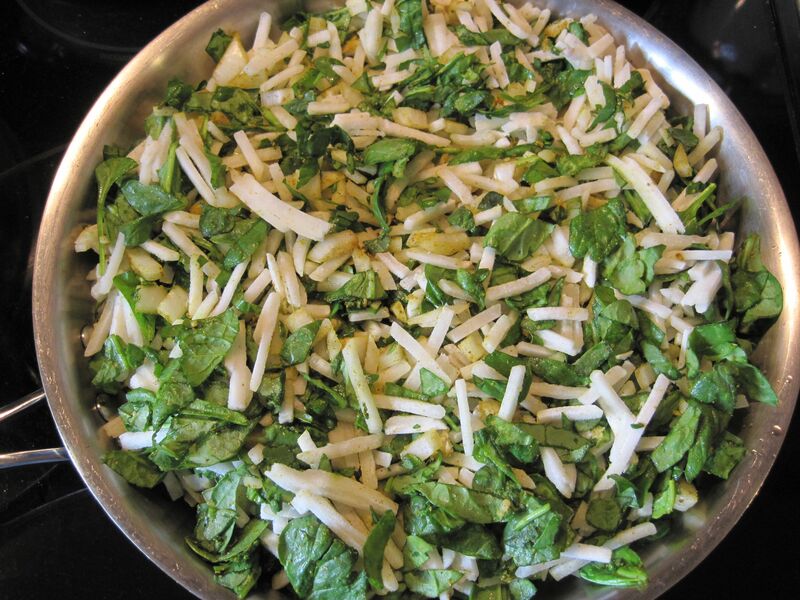 Wonderful on pizza or cubed in pasta dishes, too. This dinner was quick and tasty; I adapted the hash from Eating Well. 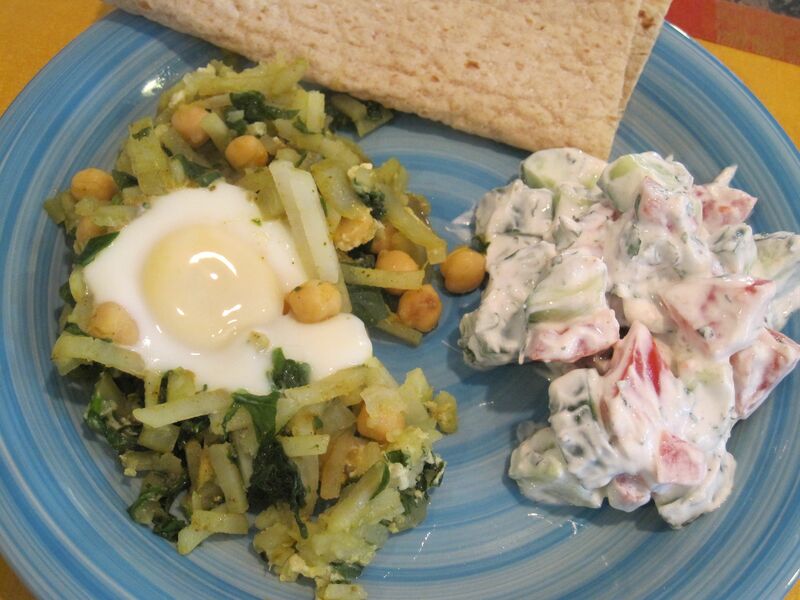 Serve with warm pita bread or whole grain flatbread, if desired. 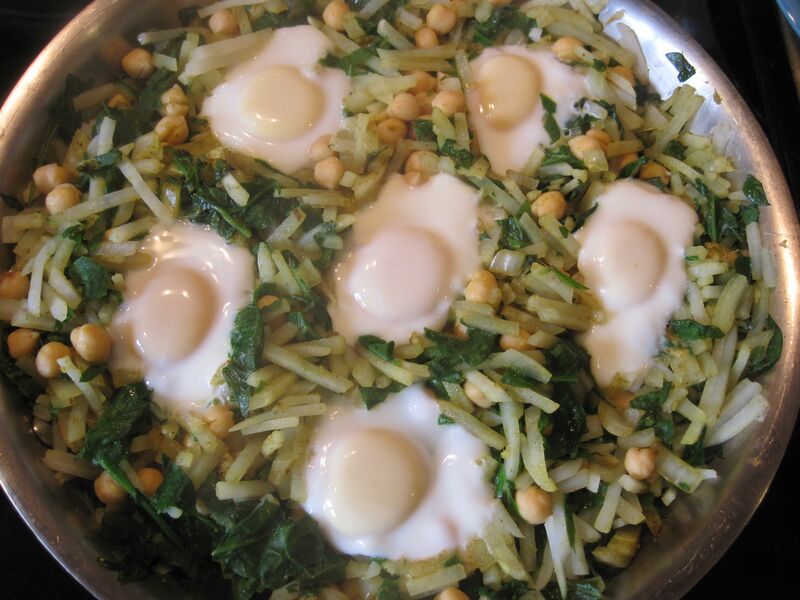 Chickpea and Potato Hash – Serves 4 – 6. 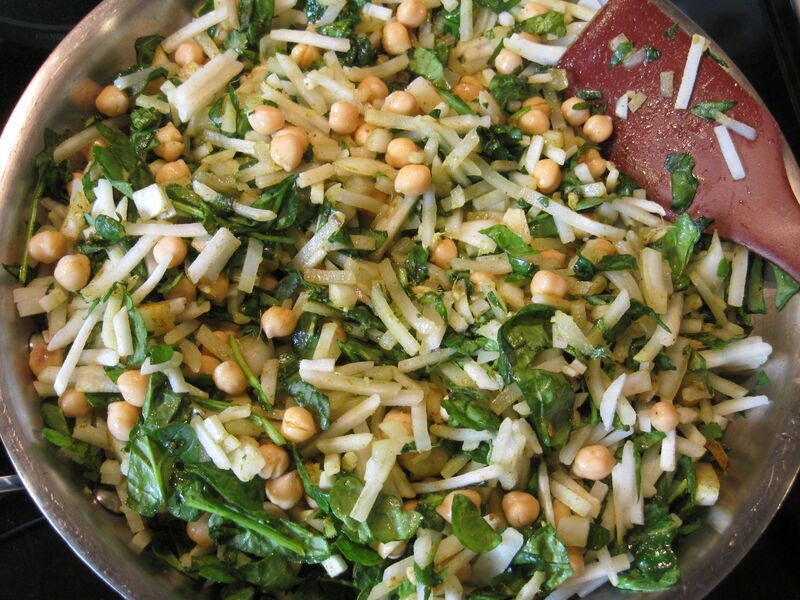 In a large bowl toss together the frozen hash browns, spinach, onion, ginger, curry powder and salt. 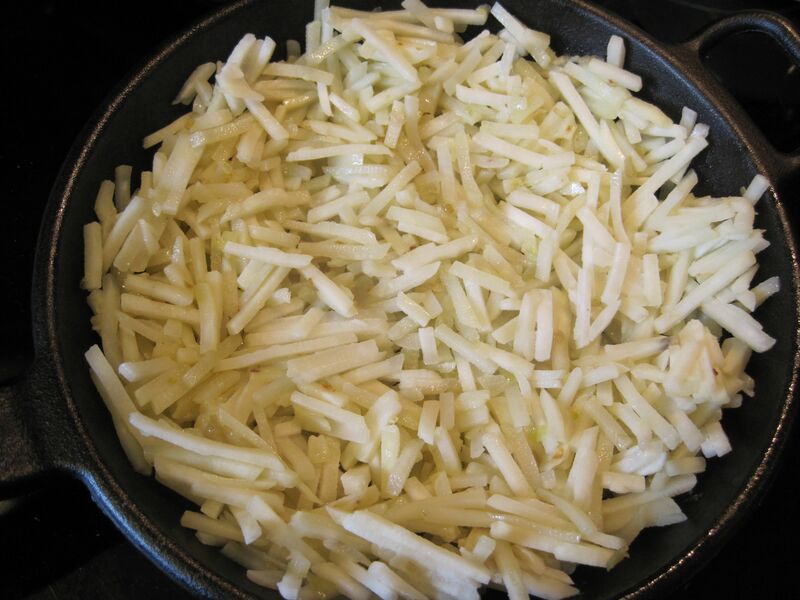 Heat the oil in a 12” skillet over medium-high heat; add the potato mixture and let cook, in one layer, for 5 minutes. 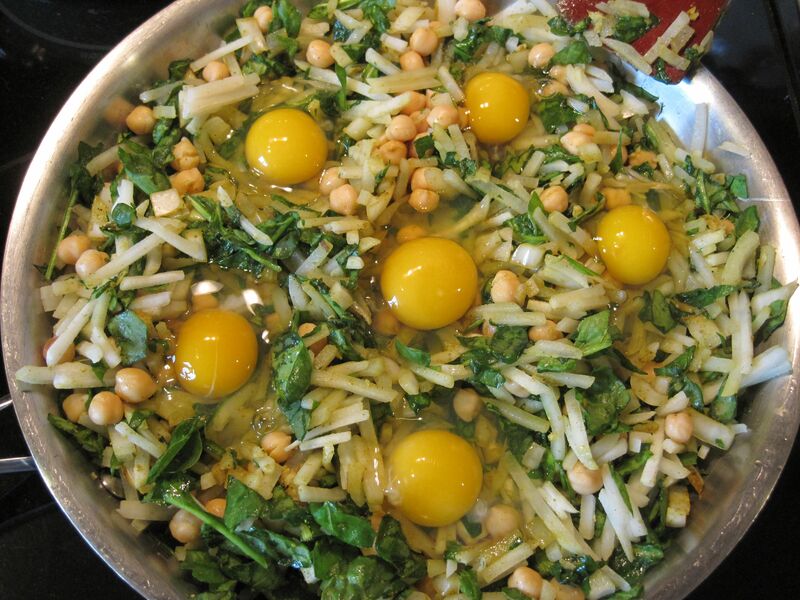 Stir in chickpeas through the top layers, then make 6 indentations for the eggs. 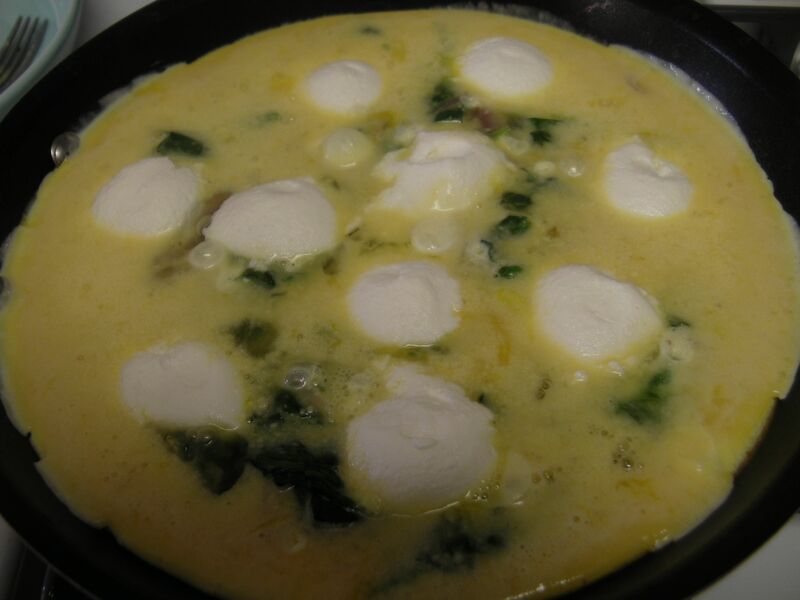 cook for 5 – 10 minutes, or until whites are set and yolks are the way you like them. 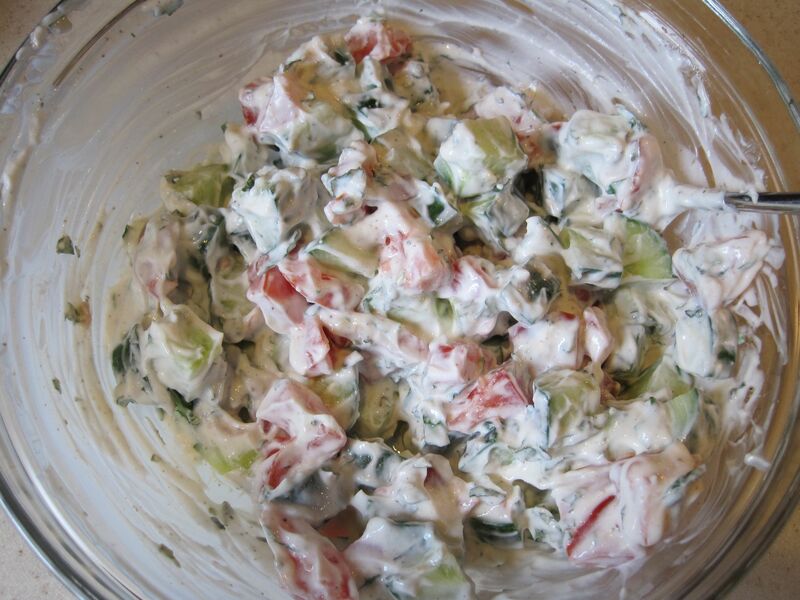 Cucumber, Tomato and Yogurt Salad – Serves 4. Combine all ingredients in a bowl; chill until ready to serve. 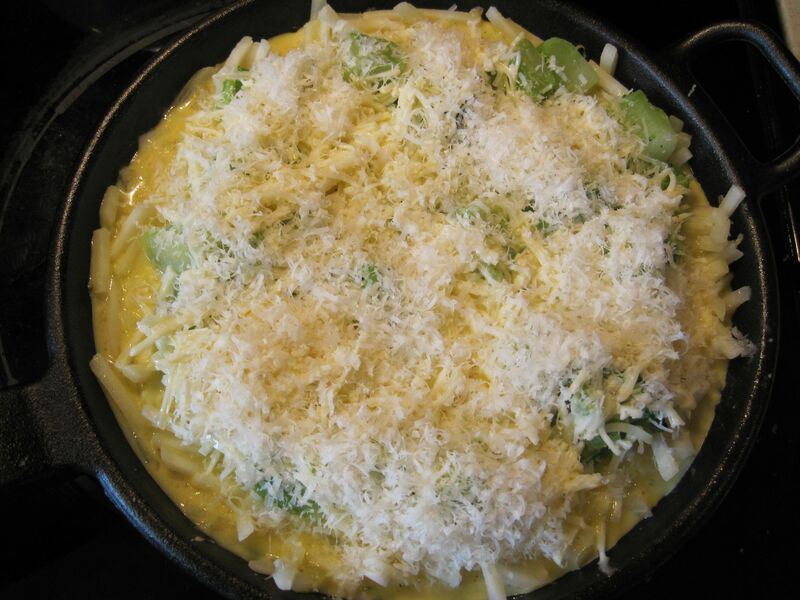 In a large bowl whisk together the eggs, milk, pepper, salt, nutmeg, Cheddar cheese and 3 TBS of the Parmigiano-Reggiano. 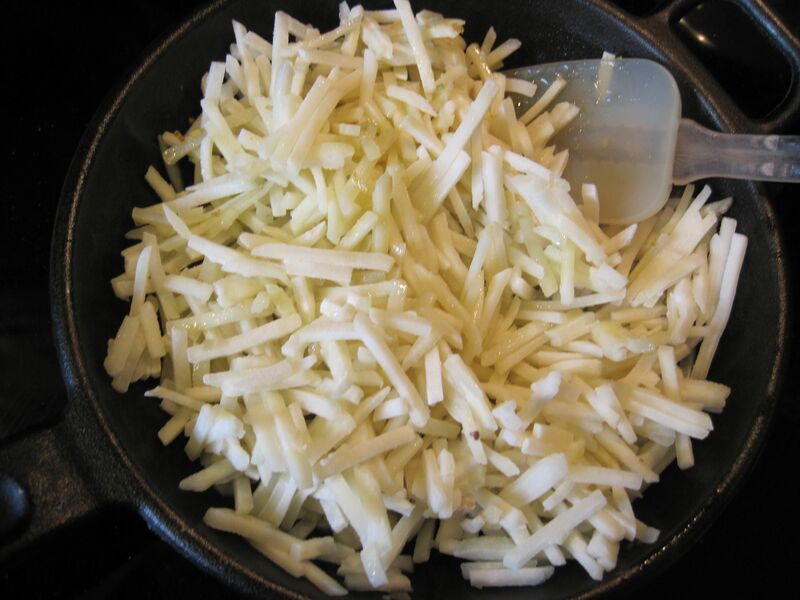 then add the frozen hash browns and cook, stirring occasionally, for 3 minutes. Season with salt and pepper. 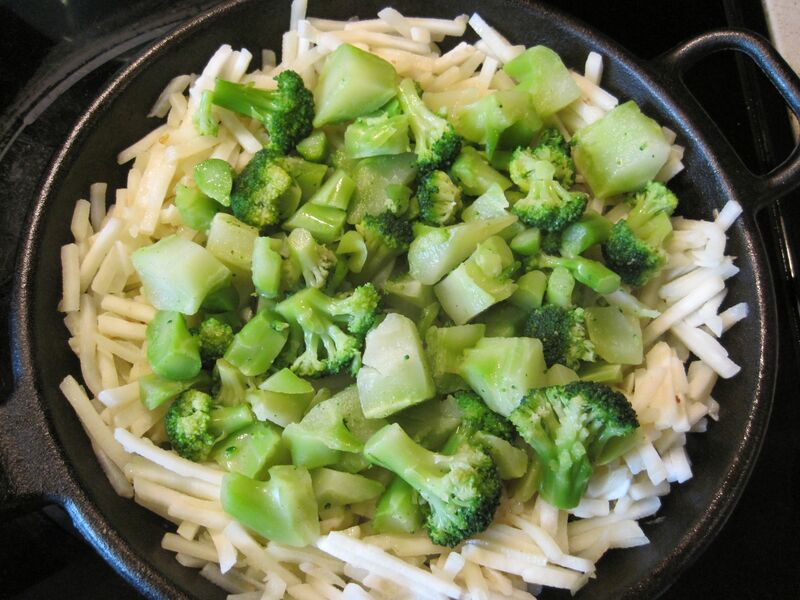 then arrange the broccoli on top. 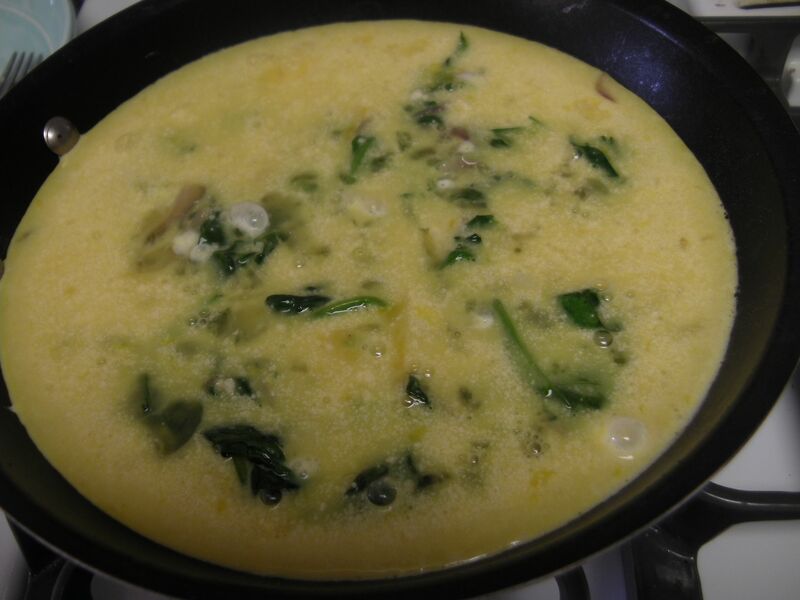 Pour over the egg mixture, and sprinkle with the remaining Parmigiano-Reggiano. Bake for 30 – 40 minutes, or until the filling is set. Turn the oven to broil and broil until the top is puffed and golden brown. 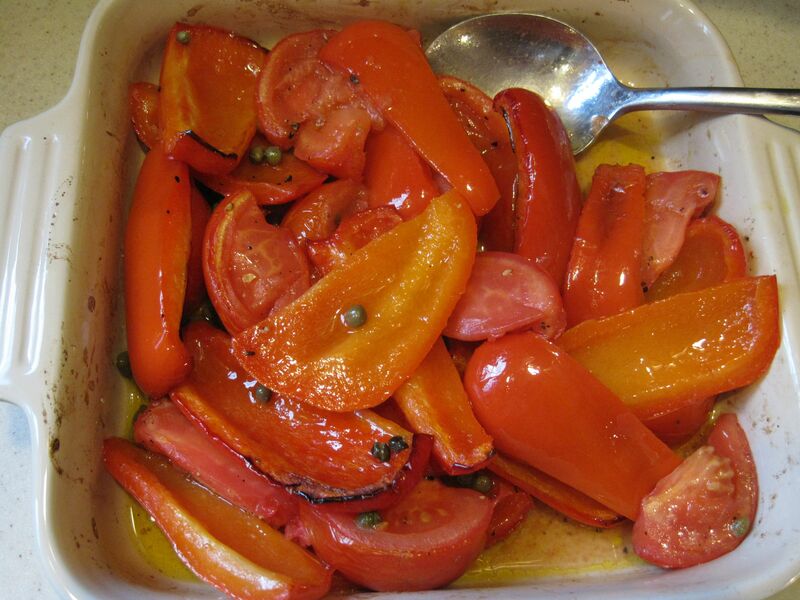 Slice each pepper lengthwise into 8 pieces; toss all pieces together with the oil in an oven-proof, shallow dish. Broil the peppers 4 – 5 inches from the heat for 25 minutes, stirring 2 – 3 times. 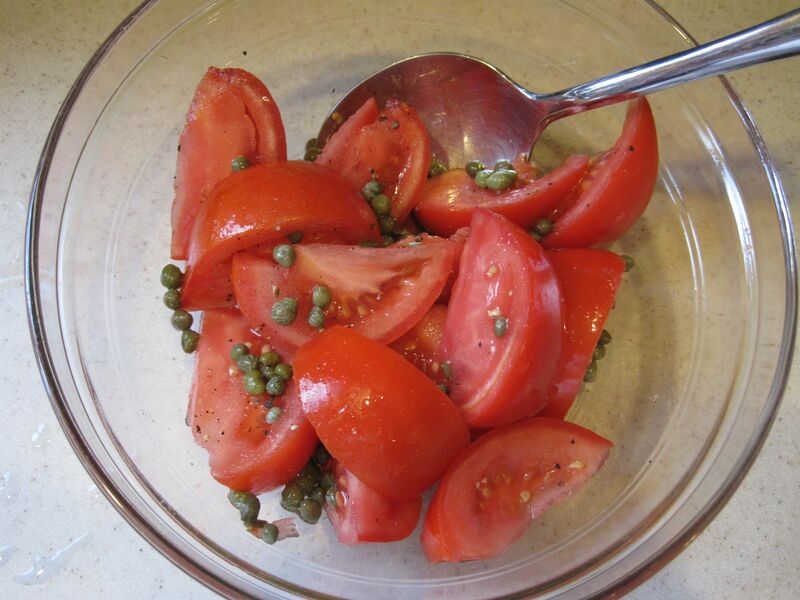 Meanwhile, gently combine the tomatoes, capers and red-wine vinegar. 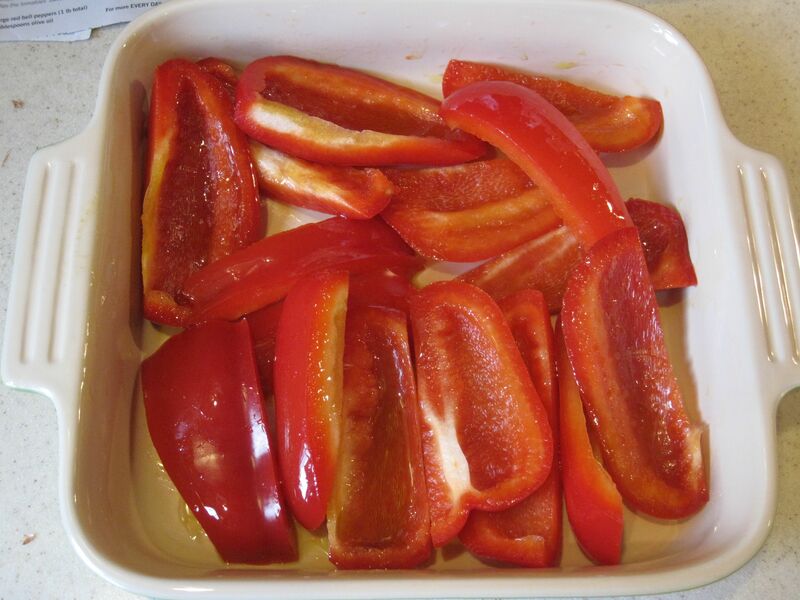 When the peppers are tender, add the tomato mixture and gently toss to combine. 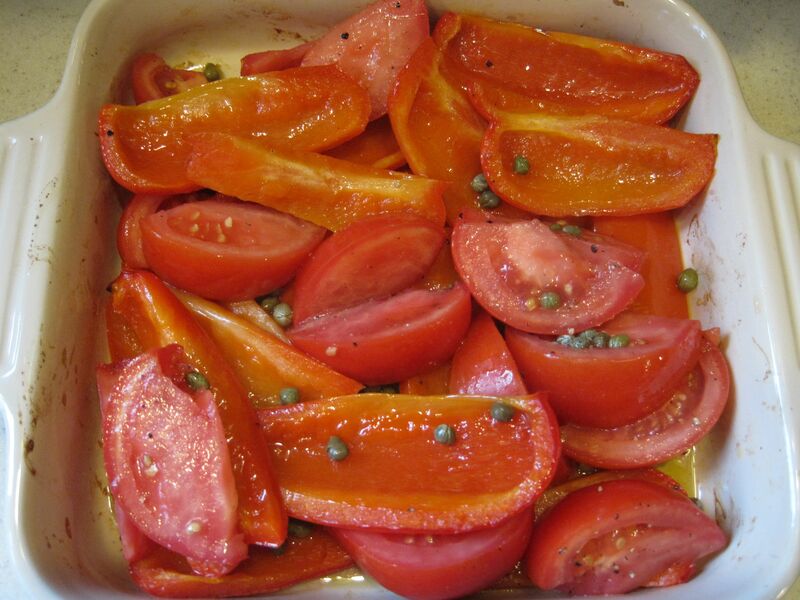 Broil for another 5 minutes, or until the tomatoes are warm and a little soft. Serve warm or at room temperature.